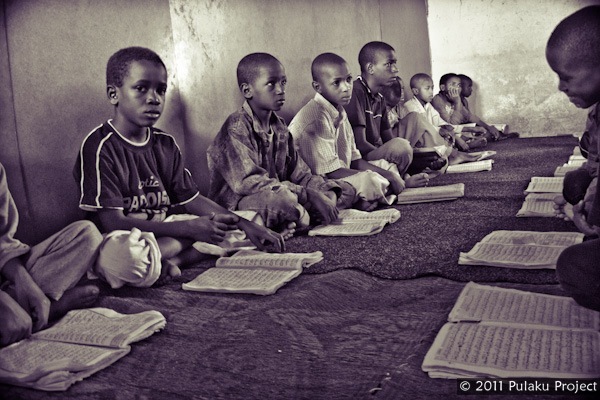 Throughout West Africa, Koranic schools known as Madrasas can be found in virtually every village and town. 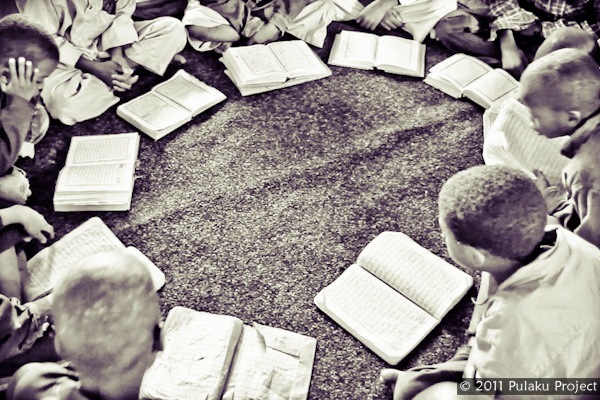 In a Madrasa, young boys and girls study the Koran, memorizing the entire book over the course of five to seven years. While this Islamic education is often criticized, the Madrasa in Douki illustrates that a Madrasa can provide a healthy education. 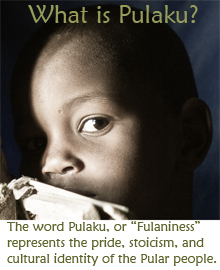 Fulani culture has become inextricably linked to Islam. 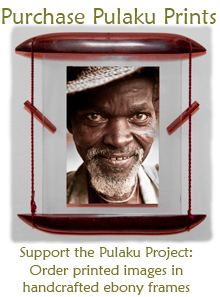 Most experts agree that the Fulani originally migrated from northeastern Africa 700-1000 years ago. At the time, they came as cattle herders with animist religious beliefs. 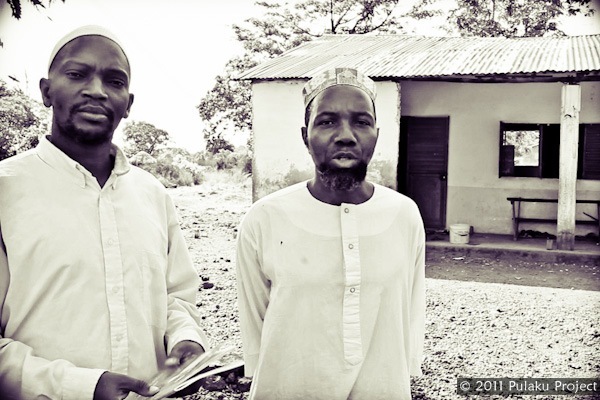 A few hundred years later, a second wave of Fulani arrived to deliver Islam to West Africa. Led by powerful rulers like Sheikh Oumar Tall and Seikou Amadou, the second wave of Muslim Fulani reconquered West Africa, starting in the Futa Jalon region of northern Guinea. From Guinea, they travelled eastward, spreading Islam all the way into central Africa. With the exception of a few animist groups in Niger and certain communities that have adopted Christianity, the vast majority of Fulani today adhere to Islam. As the origin of this movement, the Fulani in Guinea are the strictest of Fulani Muslims. Most people we talked to agreed that the adoption of Islam caused many of the cultural changes we observed. As such, Islam explains the success of the Fulani in Guinea, while also shedding light on their shift away from a culture of herding and traditional ceremonies like Doohi and Goja that we observed in Burkina Faso and Benin. Koranic schools lie at the heart of this phenomenon. Madrasas provide an opportunity for families to send their children to school when they might not otherwise have the means to pay school fees. Madrasas offer a purely Islamic education, and families are often proud to have a child study there. However, many madrasas are underfunded, poorly organized, and fail to provide a good education for children. Without means to feed the students, madrasa teachers resort to sending the children to beg in the streets under the auspices of learning the virtue of humility. Throughout West Africa, it’s not unusual to see troops of children wandering the streets with small plastic containers strung from a cords, begging for food or money. This unfortunate reality has caused widespread criticism of madrasas and Islamic education. While visiting Douki, we were fortunate to be invited to visit a madrasa that provides a wholesome Islamic education. Under the leadership of Abdoulaye Djibril Bah and Souleyman Tall Bah, the Douki Koranic School illustrates an encouraging alternative to the deplorable conditions of lesser madrasas. Aware of the widespread criticism of madrasas, the teachers were hesitant to allow us to document their school. We assured them that we had come to shine a positive light on this madrasa, so that it might serve as an example to other Islamic schools in West Africa. Because certain interpretations of the Koran restrict photography of the human form, we had to shoot mostly in video, which is permitted. As stated in the video, Koranic teachers Abdoulaye Djibril Bah and Souleyman Tall Bah are very attentive to the needs of the children. Instead of sending the children to beg for food, they ask one family to feed the children each day. As such, the parents of madrasa students prepare a meal for the entire school once every two months, and the children have full bellies every day. 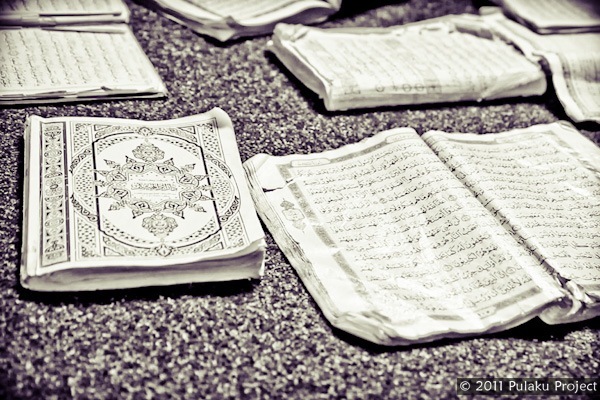 Furthermore, the teachers focus attention on the virtues of the Koran, rather than just memorizing the words on the pages. They teach students to be compassionate, to care for one’s neighbors, and to contribute to society. Above all, tolerance emphasized. Souleyman Bah provided a particularly insightful perspective on the Islamist concept of “jihad”. While the term is often associated with violence and war against other religions, Souleyman explained that the true meaning of jihad refers to the personal battle that a believer fights every day – a battle against the temptations of the world and the human tendency to go astray. In short, the jihad is the fight to live wholesomely every day. Greg Mortensen’s popular book, Three Cups of Tea, highlighted the problems of madrasas in Pakistan and documented his effort to replace them with conventional schools. Most media have framed the issue as a simple dicotomy: madrasa = bad, western education = good. In Douki, we discovered that the debate is more nuanced, and at least in West Africa, it’s possible for a madrasa to contribute positively to the community and the education of children. The Douki Koranic School offers an interesting contrast to the stereotypes often depicted in the media. This school shows that a madrasa can provide a healthy education if the teachers are open minded and dedicated to the wellbeing of their students. May this serve as an example to other schools where the children lack the wise guidance of Abdoulaye Djibril Bah and Souleyman Tall Bah. Mortensen was and is specifically concerned with the spread of *Wahhabist* madrasas in Pakistan and elsewhere. Wahhabism (http://en.wikipedia.org/wiki/Wahabism), the dominant sect in oil-rich Saudi Arabia, is considered an unusually extreme branch of Islam that goes so far as to teach that other muslims are infidels. By contrast, most muslims are taught to respect people of other beliefs. While the schools run by the Central Asia Institute are not religious, they are hardly western or secular. They offer families a standard local curriculum taught by muslims. There are many ways to educate children well. Bon travaille to Abdoulaye Djibril Bah and Souleyman Tall Bah for teaching tolerance, compassion, and peace. I am happy to see how these kids look gorgeous and clean not like those you can see around the streets of most of Africans Muslim countries, begging people for their teachers and for their own dayly food. Guys, you should show this pictures to the african muslim countries you have to visit so they will get another vision of what is a real madrassa school. I live in Bamako (MALI) and what I see in the streets, make me sick. Most the kids are fulani and they come from more than 200 or 400 kms to Bamako for begging and their families think that they are learn the holy Q’RAN and the teachers use them for their gaols and don’t teach them. Goof luck and stay blessed. Thanks a lot for this post on Islam & Fula people. I would like to see more of this as this shows another view of Africa other than usually perceive from a western view (poverty, hunger, war, etc…). Also, this shows the true Islam. Finally, I would like to point out that these are my uncles; so thanks uncles Abdoulaye & Soulaymane, keep up the good & noble work. Thanks a lot once more for all these reasons. I am surprised that the girls are completely veiled. It does not comply with our tradition.